← Global warming – is it a hoax? 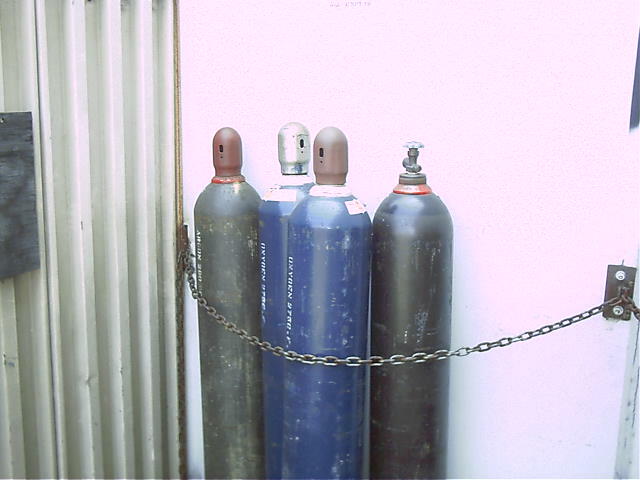 Let’s say you have some half-empty pressurized gas cylinders that you wish to return to the supplier. Do you need to manifest them as a hazardous waste because they are reactive (pressurized)? EPA has determined that returning a compressed gas cylinder to the supplier does not constitute disposal on the part of the customer. For most parts, the cylinder itself is the property of the supplier and the customer has no control over what the supplier does with the cylinder and its content once the supplier receives it. So the pressurized cylinder you are returning to the supplier is NOT a RCRA solid waste, according to EPA and therefore it cannot be a hazardous waste. Please note that you may still need to ship the pressurized cylinder as a DOT hazardous material. This entry was posted in compliance, EPA enforcement, Hazardous waste management and tagged compressed gas, EPA, gas cylinder, hazardous waste, RCRA, RCRA online. Bookmark the permalink. Hey Norman, how about if the cylinder contains a gas that has “expired” or “off-spec”, so the customer is no longer able to use it? Is the material still not considered to be a waste because the supplier has to determine how to disposition it? Mike….if you read EPA’s memo carefully, it says that if the customer is finished with the compressed gas and wishes to return the remaining product back to the supplier. It does not say anything about the customer abandoning the product because there is something wrong with it. In the case you describe, the customer who decides to abandon the gas or wishes to discard it would be a waste generator.